Until October 31, 2016, one child under 18 can cruise to the bottom of the world this December with every paying adult, thanks to a new offer from Patagonian cruise line, Australis. Australis – Latin for ‘southern’ – offers unique, all-inclusive expedition cruises every summer to Cape Horn and the sky-blue glaciers and fjords of Tierra del Fuego at the southern tip of South America. The free child offer is valid on six cruises aboard the 210-passenger Stella Australis in December, 2016. Three of the cruises are three-night journeys from Ushuaia to Punta Arenas departing December 7, 14 and 21, 2016. The other thee departures on December 10, 17 and 24 (special Christmas cruise) are four-night sailings from Punta Arenas to Ushuaia. Under the offer, available for bookings made before October 31, 2016, a ticket covering one adult and one child 17 or under sharing one cabin is available from US$2440 for the three-night cruise. A second adult in the cabin can cruise from an extra US$2440. A family of four can use two cabins, with the cost US$2440 per cabin – one free child per each paying adult. All guests enjoy complimentary, guided excursions and nature lectures as well as a free open-bar. Cuisine aboard includes local dishes as well as Chilean and Argentine wines. English and Spanish are spoken onboard. Australis is the only operator to offer regular cruises through the region, with the family-owned Chilean cruise line also offering more opportunities for travellers to step ashore on fabled Cape Horn than any other line. 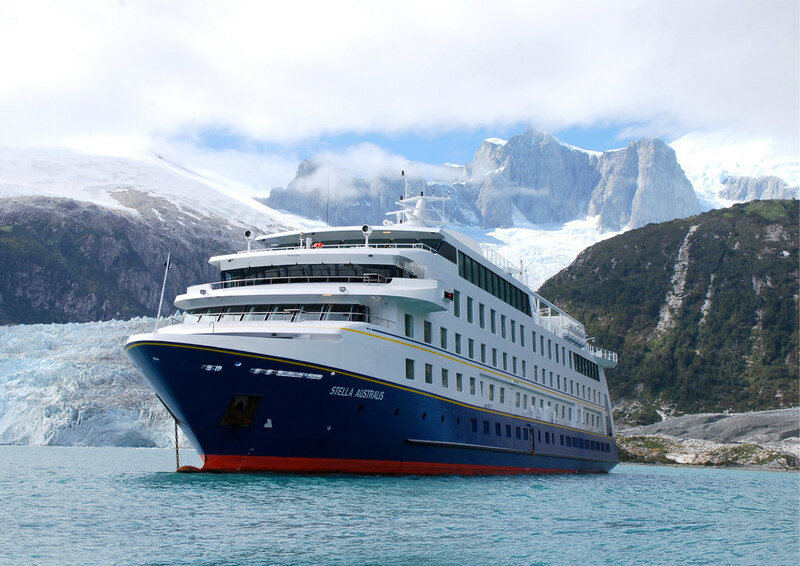 From September to April each year, Australis operates regular three to seven-night expedition cruises from Ushuaia and Punta Arenas – the two southern-most towns in the world – through the mountain and glacier-lined fjords of Tierra del Fuego, the Magellan Strait and Beagle Channel. Included in fares are zodiac excursions ashore to places like Cape Horn, named 400 years ago this year by Dutch explorers, as well as Wulaia Bay and Pia Glacier. An average of seven massive tidewater glaciers can be seen on most Australis sailings while wildlife along the way includes elephant seals and Magellanic penguins. Stella Australis offers lounges, gym facilities and cabins with extra-large panoramic windows (almost floor to ceiling) to see the amazing scenery bathed in extended summer daylight.